 Goat anti Mouse IgM antibody recognizes murine IgM and is cross-adsorbed to reduce reactivity with other mouse heavy or light chains. Antisera to mouse IgM were raised by repeated immunisation of goats with highly purified antigen. Purified IgG was prepared by affinity chromatography. Mouse IgM mu heavy chain. Yan, Y. et al. (2003) Pathogenesis of autoimmunity after xenogeneic thymus transplantation. J Immunol. 170 (12): 5936-46. Lehours, P. et al. (2009) Is there a link between the lipopolysaccharide of Helicobacter pylori gastric MALT lymphoma associated strains and lymphoma pathogenesis? Skoglund, A. et al. (2012) A changing gastric environment leads to adaptation of lipopolysaccharide variants in Helicobacter pylori populations during colonization. Fish, J.E. et al. (2005) The expression of endothelial nitric-oxide synthase is controlled by a cell-specific histone code. J Biol Chem. 280: 24824-38. Schweighoffer, E. et al. (2013) The BAFF receptor transduces survival signals by co-opting the B cell receptor signaling pathway.